In Le Marche, not far from the Adriatic Sea, the savvy traveler will find the small hill town of Urbino. It is perched between the Foglio and Metauro Rivers. Urbino was declared a dukedom in the middle of the 15th century and has a Ducal Palace with cellars and servants quarters. 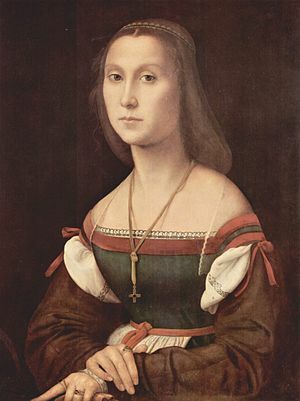 Raphael and Bramante were famous local Renaissance artists. Urbino’s historic center has a magnificent array of medieval and well-preserved Renaissance buildings nestled in a picturesque countryside setting that was inscribed by UNESCO in 1998. The historic center has interesting sites that include: The Oratory of St. John the Baptist, Raphael’s birth house, the churches of St. Francis and St. Dominic, the Oratory of St. Gaetano, the cloistered convent of St. Claire and of the Church of St. Bernardino. There is a fabulous VIno con Vista panorama of the city from the Albornoz Fortress. Urbino’s illustrious past rivals Florence in terms of its cultural significance during the Renaissance. 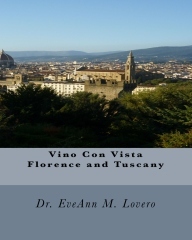 This town attracted many humanist scholars and Renaissance artists in the 15th century. These trailblazers ultimately influenced cultural developments elsewhere in Europe. 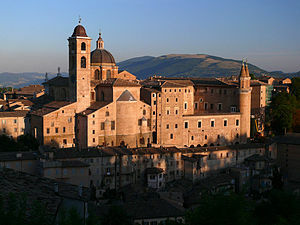 Urbino became a Ducal city during the Renaissance. 1. 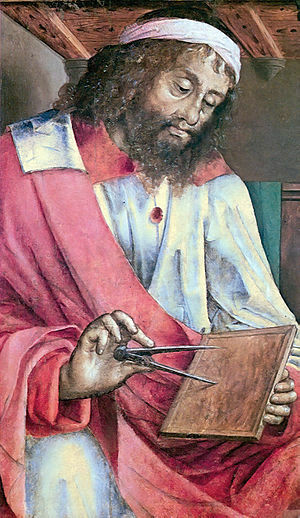 Urbino was the birthplace of Raffaello Sanzio in 1483. He lived at Casa Natale di Raffaello and his former residence warrants a visit. The birthplace of Raphael is a small 14th-century building with a charming interior courtyard. What was probably the artist’s first important work, a Madonna and Child, is located in the first-floor room where he was born in 1483. His superb artistic skills adorn the walls of the Vatican in his legendary “School of Athens” masterpiece. 2. Visit the elegantly proportioned Palazzo Ducale that was built for Duke Federico da Montefeltro and his wife Battista Sforza as a defensive structure in 1460 designed by architect by Luciano da Laurana and Francesco di Giorgio Martini. It is one of the most beautiful architectural works of the Italian Renaissance. The palace is perched high on a hill with panoramic views of the countryside. The façade of the palace is flanked by two dominating towers. 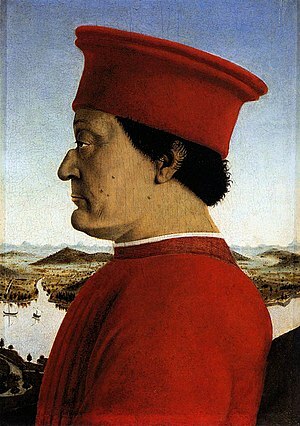 Montefeltro was a patron of the arts who ruled Urbino from 1444-1482. The 3rd Sunday in August, attend “Festa del Ducca” in Urbino to honor the Duke. 3. 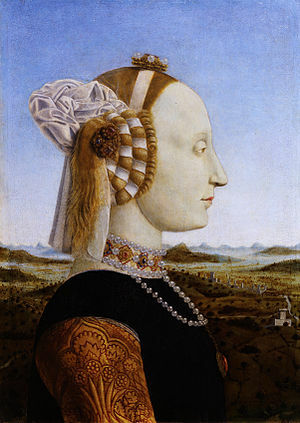 The palace houses the Galleria Nazionale delle Marche (The Marche National Gallery) and holds the most significant collection of Marchigiana art. 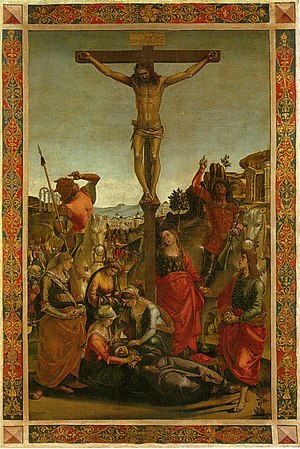 This museum is the home to works by Raphael, Piero della Francesca, Tizano, Paolo Uccello and Luca Signorelli. 4. The elegant, Neo-Classical Duomo was rebuilt after the earthquake of 1789. It was done by Giuseppe Valadier, Architect of the Holy See.The impressive cathedral is in Piazza Duca Federico and has a beautiful painting of the “Last Supper” by Federico Barocci. The cathedral/Duomo was largely rebuilt in the late 18th century, during the papacy of Pius VII who completing the reconstruction left unfinished during the reign of Clement XI. 5. 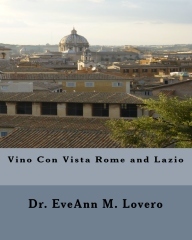 Have a “Vino con Vista” at La Vecchia Fornarina close to Piazza della Republica. It is the oldest restaurant in Urbino. Order some fish stew with a glass of Verdicchio dei Castelli di Jesi (DOC) , a crisp white wine. 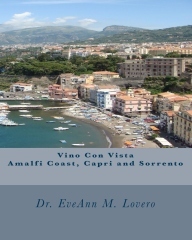 Order some red Piceno (DOC) vino at the Mamiani Hotel on Via Bernini and enjoy the beautiful view. Duke Federico preferred sour cherry wine made from marasca cherries called Visner. After dinner, order some chocolate and sip some chilled Visner as you toast Federico Montefeltro. He was the enlightened lord that was instrumental in transforming this lovely city. 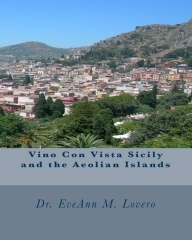 Distilled wines like aniseed liqueurs are popular in this region (Mistra and Anisetta). 6. Visit the Umani Ronchi Winery. 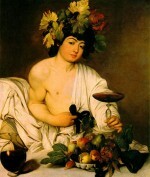 Try some Medoro Marche Sangiovese or Le Busche Marche Bianco (www.unmanironchi.com). Visit the International Wine Label Museum in Cupramontana. 8. In August, attend the “Sagra delle Frittelle” of Massignano in the Ascoli Piceno fortress. This Fritter Fest is a 50 year old Italian Food Festival. The Macerata Opera Festival is held in Sferisterio from July 15 to August 15 www.maceratagallery.it. 9. More notable holy places include: the 14th-century Oratory of St John the Baptist with outstanding frescoes by Luca Signorelli and the 14th century Church of San Francesco with an interior that was redesigned in the 18th century. The Church of San Domenico is basically a 13th-century structure with an articulated portal that was added during the Renaissance period, surmounted by a beautiful oriel window by Luca della Robbia. 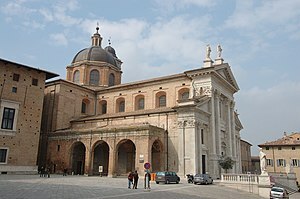 The Santa Chiara and San Bernardino monasteries are good examples of Renaissance architecture. 10. Attend glorious “Holiday Festivals and Events” in the town of Candelara in December in the province of Macerata and also in the town of Fano in Giardini Amiani. 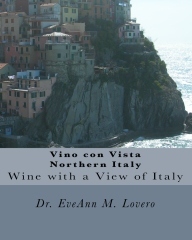 To learn more about Italy read www.vino-con-vista.com Travel Guides.